RTÉ recently announced an exciting new deal with the Gaelic Athletics Association (GAA). This will see a collaboration that will include the increased televising of club and league games. The plan, which will be in place from 2019 until 2022, will exist in conjunction with the present GAA coverage on TG4 and Eir Sport. RTÉ will simultaneously air at least four Allianz League games and will have access to a number of AIB Club Championship matches. With coverage of the Allianz League beginning in late January, the network effectively ensures nine months of free to air GAA coverage. The deal has been well received by players, journalists, and consumers, but is it a good move? To put it simply, yes. The GAA is an institution deeply rooted in the heart of Ireland’s communities. As the national public broadcasting service, RTÉ has an obligation to provide in-depth coverage and analysis of its national sports. 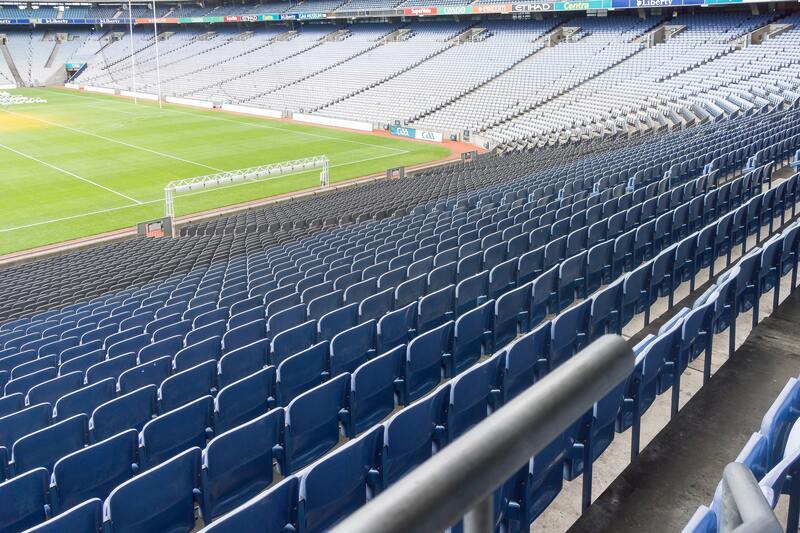 RTÉ Group Head of Sport Declan Mc Bennett stated the deal would bring “national moments to a national audience,” and certainly the arrangement makes Gaelic football and hurling accessible to a wider fan base. Former GAA President Aogán Ó Fearghaíl previously said the aim of any sport has always been to “make sure that people are at a match.” But in an economy where much of the population considers monthly television packages to be far too high, it’s equally likely those same families are unable to afford match tickets for multiple games. It isn’t only finances that create this barrier between sport and its fans. Often those who would happily attend the majority of a Gaelic or hurling season are hindered by ill-health or old age, with lack of mobility forcing them to enjoy the spectacle from their own home. This in itself would be an agreeable outcome to an unfortunate situation, yet previous lack of coverage often meant missing a game entirely. The “Keep Gaelic Games Free to Air” organisation, born from the controversial selling of GAA Championship rights to Sky Sports, believes this snubbing of financially disadvantaged, immobile and elderly people to be harmful to the overall success of a community. They stated it is “especially hard for all those in hospitals, care homes, the elderly across rural Ireland [and] those with mobility issues… it is totally against the community ethos.” The increased coverage of league and club matches rendered by the deal makes hurling and football accessible to its most die-hard fans, who otherwise would have missed out. Similarly, whilst TG4 has the responsibility to provide coverage conducted through the Irish language, those not fluent in Irish, or unable to fund a monthly sports subscription from Eir Sport, have no alternative but to watch content in a language that is effectively alien to them. The deal allows RTÉ to simulcast alongside rival channels, whilst providing its own commentary and analysis. Though this will not promote the Irish language, it succeeds in promoting Ireland’s national sports, without detracting from TG4’s coverage of the same match. Perhaps the consequence of the deal that most directly affects the GAA will be the increased revenue garnered. Whilst it can be presumed that a decent portion of the profit will find its way into the pockets of administrators and upper management, it will improve GAA funding as a whole. Ideally this money could fund the improvement of club and county facilities. Ultimately, the deal announced by RTÉ is a march in the right direction. The extensive expansion of its GAA coverage has effectively created a visual candyland for sports fans. For those who don’t have the time or the means to attend as many club and league matches as they would like, it is fair to say RTÉ has it covered, and this is one deal I think everyone can agree on.